Sonya, Katie and Laura are doing the 3 peak challenge to raise money and awareness for local boy James, who has been battling cancer for 3 years, to ensure he has the quality of life and childhood he deserves. Our goal is to provide our clients with high-quality, long lasting care in a happy and comfortable environment and we hope that you appreciate our long-term outlook to your dental care. We encourage preventive techniques which help you to understand how to maintain a healthy mouth, and to keep it free from both tooth decay and gum disease. We also aspire to provide a large selection of cosmetic dental treatments to give you the smile you have always desired. In order to meet this commitment we have recruited a highly skilled and dedicated team and have invested in the latest equipment, laboratory support and staff training. In addition to our offer of outstanding dental care, at Bridge Dental & Implant Clinic our aim is to treat all of our patients as individuals – we will always have time to listen to your questions and comments. We will treat you with courtesy and consideration at all times. We will ensure that we are dedicated to providing quality dental care. Your safety and comfort are our priority. We will protect your smile by helping you keep your teeth and gums healthy for life. 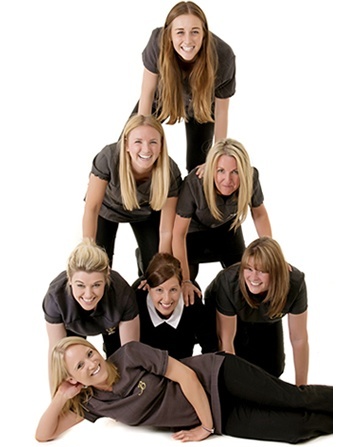 We will listen carefully to your problems and provide full professional assessments of your dental needs. We are happy to offer solutions and make recommendations, but will let you make the final decisions.